Zombieland 2, after nearly a decade, is finally happening and it looks like production is getting underway in early 2019. According to a new report, the highly-anticipated horror/comedy sequel will begin filming on January 28, 2019. With all of the original cast members returning, it's been tricky to line up their schedules, which is part of the reason the movie hasn't happened previously. But once Woody Harrelson wraps up filming on his WWII movie Midway, word is, they're good to go. Abigail Breslin, Emma Stone and Jesse Eisenberg are all also set to return. Behind the scenes, writers Rhett Reese and Paul Wernick, who wrote both of the Deadpool movies and have become quite big names in Hollywood since the first movie came out, are also returning to pen the screenplay. Director Ruben Fleischer will also be back as well, making this his next project after wrapping up on Venom, which hits theaters next month. That means he should be able to glide smoothly into pre-production on Zombieland 2 once his commitments there are finished. In addition to word on when the sequel will roll cameras, this new report also comes with some alleged plot details. Apparently, after a decade, the zombies have evolved and have now turned into super zombies. The gang will be contending with a horde of these new undead beasts. "The group will face a new zombie threat as a new breed of zombie has developed. This new super-zombie type is faster, bigger, and stronger than the previous strain of zombies and harder to kill. These super-zombies have started grouping up into a horde going from city to city leaving a path of destruction behind them." Talk of a sequel to Zombieland has been going on pretty much ever since the first movie wrapped up its theatrical run in 2009. It's taken a long time for that to materialize, as Sony wasn't terribly confident that it would be successful. 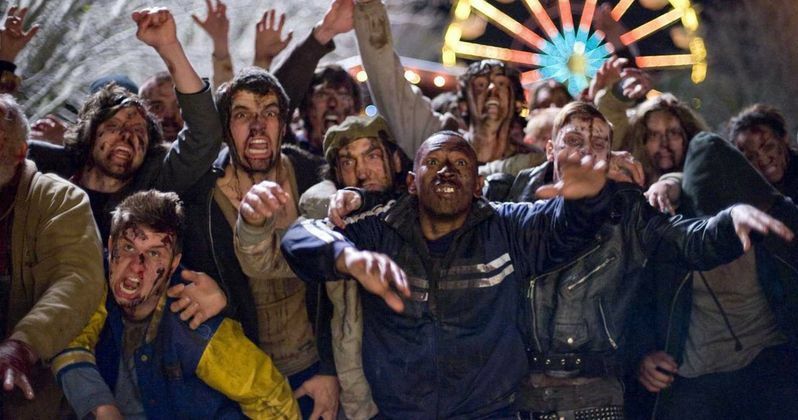 At one point, a pilot for a Zombieland TV series was shot for Amazon. Though, it didn't get picked up to series and that was that for quite some time. In May of this year we got word that the project was finally coming together and in July, it was made official. Zombieland grossed $102 million worldwide upon its initial release working from a relatively modest $23 million budget. It's since remained quite popular, which is probably the only reason the sequel ultimately got the go-ahead. Sony has set an October 11, 2019, release date for Zombieland 2. That means that they are going to be under a pretty tight schedule with filming getting underway at the end of January. But they seem pretty determined to have the movie in theaters in time for the tenth anniversary of the original. We'll be sure to keep you up to date as more details on the project are made available. This was first reported by Geeks Worldwide.